Omni Hilton Head SC Wedding. Tanae and Justin tied the knot at the Omni Hilton Head Oceanfront Resort in South Carolina. 1. How did you two meet? What is your love story? Justin and I were both in the same dorm in college. Some of his best friends were in the room across from mine. He caught my eye as I did his. We started talking and working on schoolwork together and realized we had many of the same values and didn't want to stop being with each other. For me, I am amazed I found someone as perfect as he is. Sorry I don't have a super sappy story for you haha. 2. 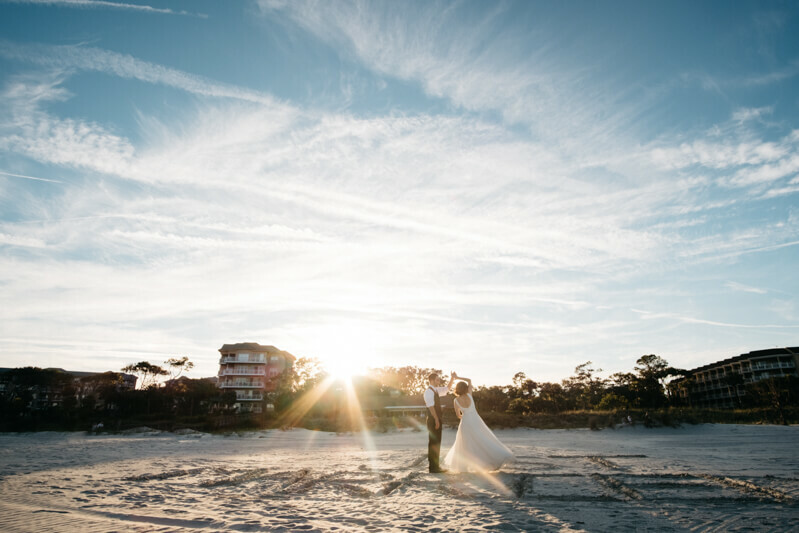 What made you two decide to get married on Hilton Head Island (Omni)? -HHI is Justin's favorite place. He proposed to me at my favorite place, thought it would be fitting to get married in his favorite place. -We also knew the island very well. Justin has been going there since he was a little kid. His parents recently bought a house on the island. -Our families are divided among Wisconsin and Minnesota, so either way travelling would be involved. -A lot of enthusiasm from our families to do a destination wedding and we knew they would love the island. Which they did! As a bonus, we were planning on moving to Atlanta so doing things in Hilton Head is easier for us than MN or WI. 3. What was your inspiration for the décor & ambience of your wedding? 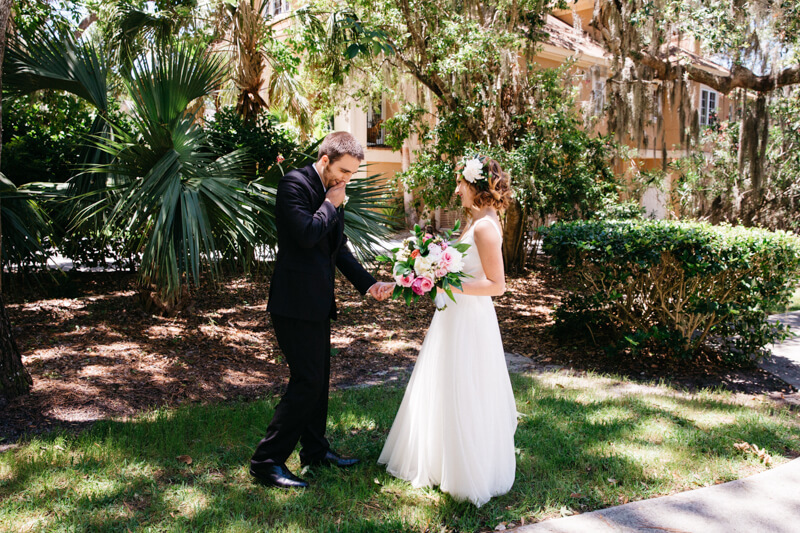 When we decided to have the wedding in Hilton Head, I knew we had to get married near the beach, but I didn't want a beach themed wedding. Essentially I aimed for a classy, elegant, garden party wedding next to the beach haha. My inspirations were peonies, modern calligraphy, and rose gold. I wanted my wedding to be unique and the best wedding anyone has been to. I didn't want to spend an unnecessary amount of money either, so I tried to do as many things as I could on my own or use things we already had. It was so much fun to pull all of the pieces together! 4. What was your (and Justin's) favorite moment (or moments) of your wedding day? When I asked Justin what his favorite moment was, he said it is too hard to decide. He said his favorite part of the day was me.